Dr. Huang is an Assistant Professor of Medicine. He attended medical school at Midwestern University, Chicago, Illinois, Residency at McGaw Medical Center of Northwestern University, Evanston, Gastroenterology and Advanced Transplant Hepatology Fellowship at Medical College of Wisconsin, Milwaukee, Wisconsin. Dr. Huang is board certified in Internal Medicine, Gastroenterology and Transplant Hepatology. Dr. Huang has formal training and expertise in all liver diseases and liver transplantation. He specializes in viral hepatitis, hepatic encephalopathy, autoimmune hepatitis, hepatobiliary malignancies, and other liver diseases. 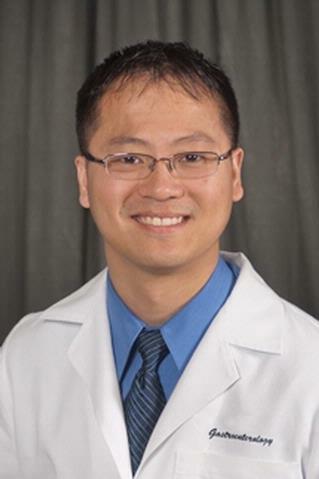 Prior to joining URMC, Dr. Huang was on faculty at the Medical College of Wisconsin. He has received multiple teaching awards for both residency and medical school education. He regularly participates in clinical trials as well as other research activities in gastroenterology and hepatology.